This summer was an exceptional summer in the garden. 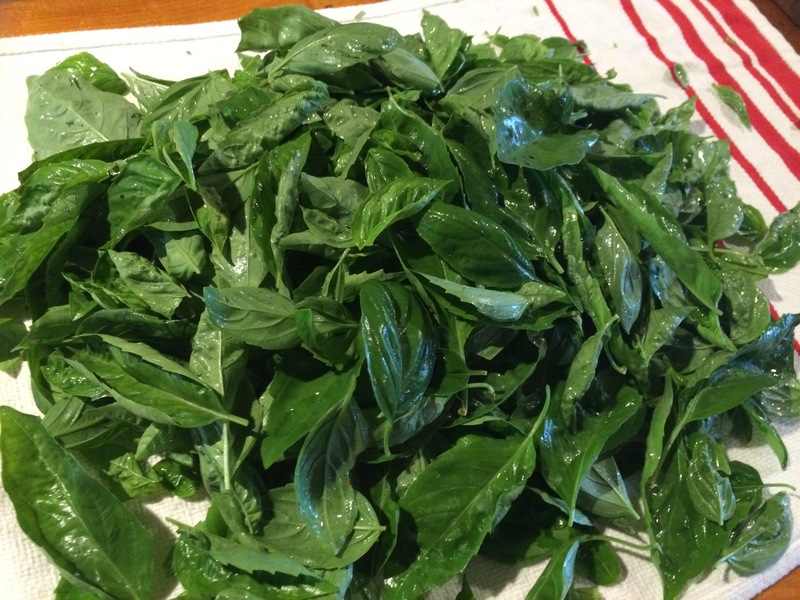 I ended up with a large harvest of fresh basil. 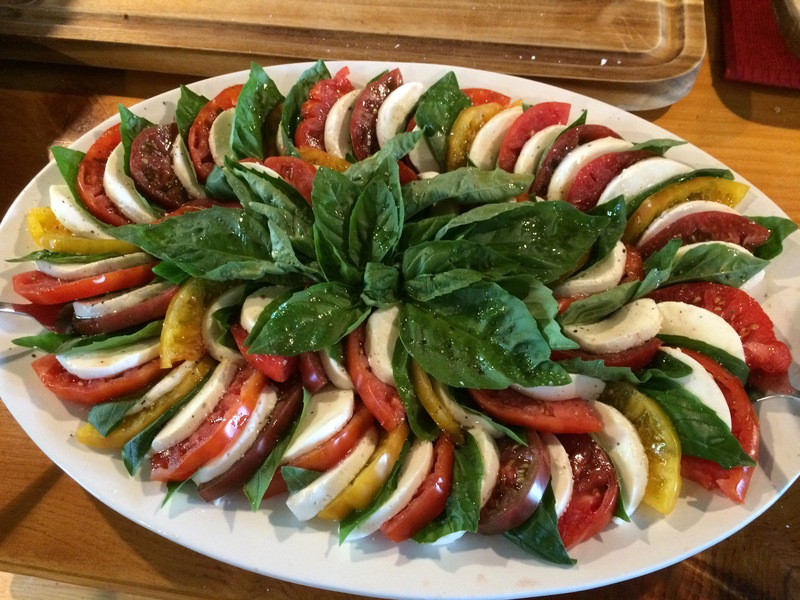 After making caprese salads, marinara sauce and Oven-dried tomato spread, I still had bunches of it left over. 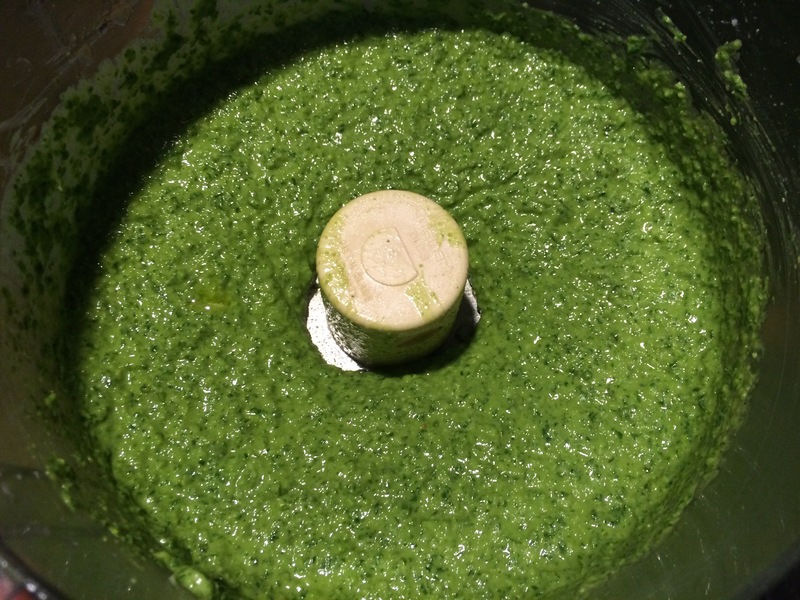 It was time to make pesto. 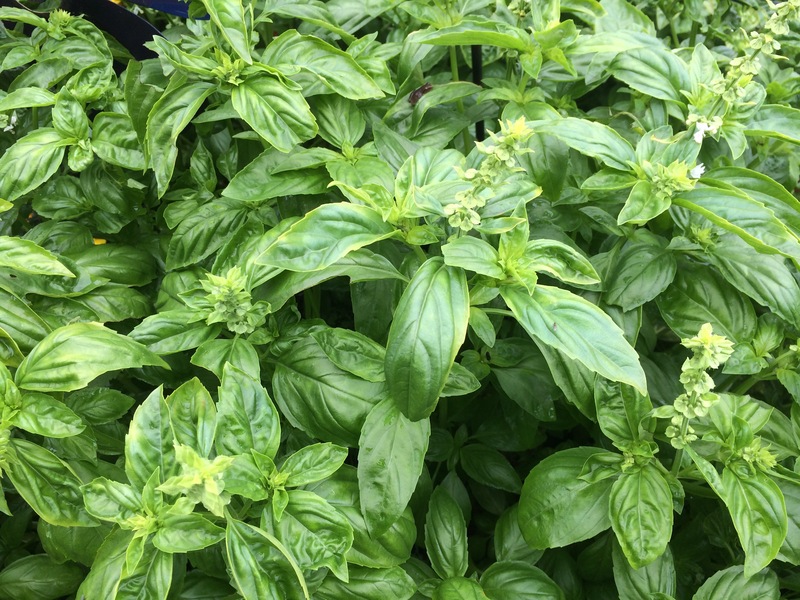 This simple Italian sauce is the perfect way to take a large amount of fresh herbs and consolidate them into a small container that can be stored in the freezer until you are ready to use it. 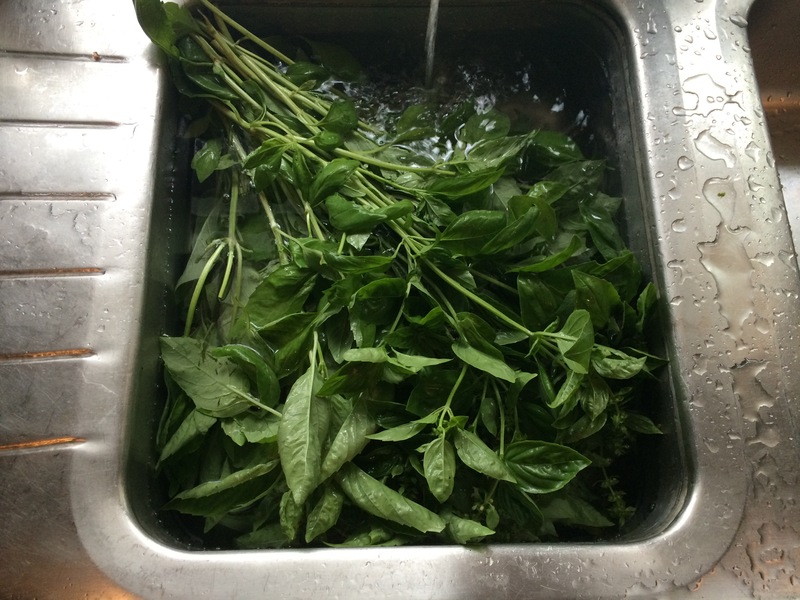 Wash basil thoroughly in cold water and place on a towel to dry. Pick leaves from stems and discard all stems and flowers. Place on a towel until ready to use. Don’t worry if there is still a little water on them. It will help to emulsify the sauce. 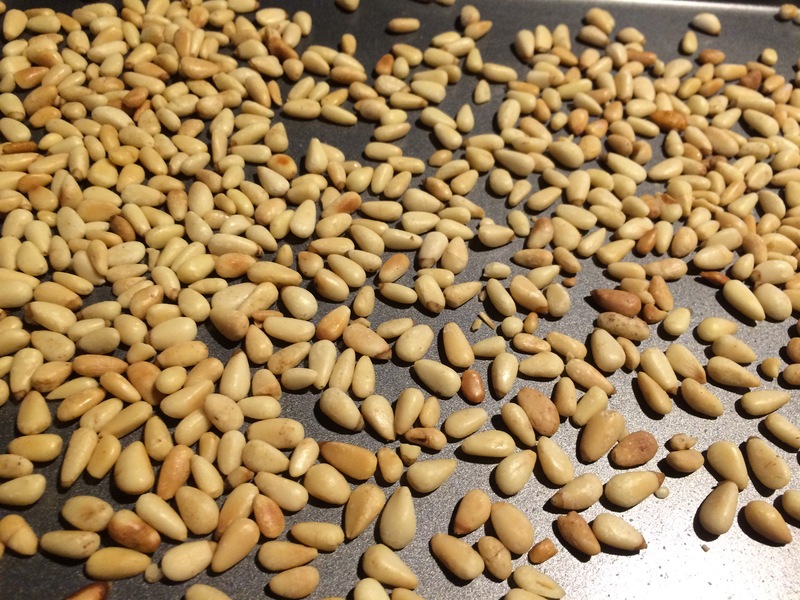 Toast pine nuts in a 350 F oven for 4-5 minutes. Cool on pan until ready to use. 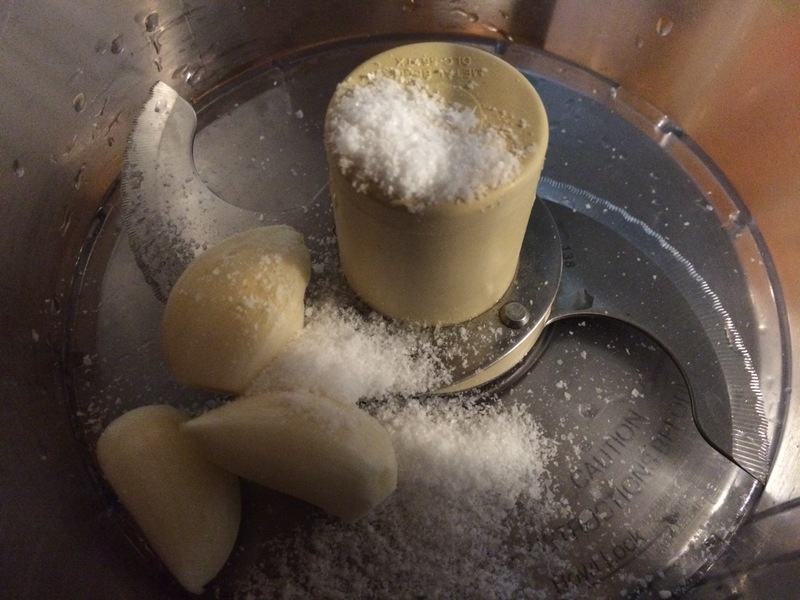 In a food processor, combine garlic cloves and salt. Pulse until chopped. 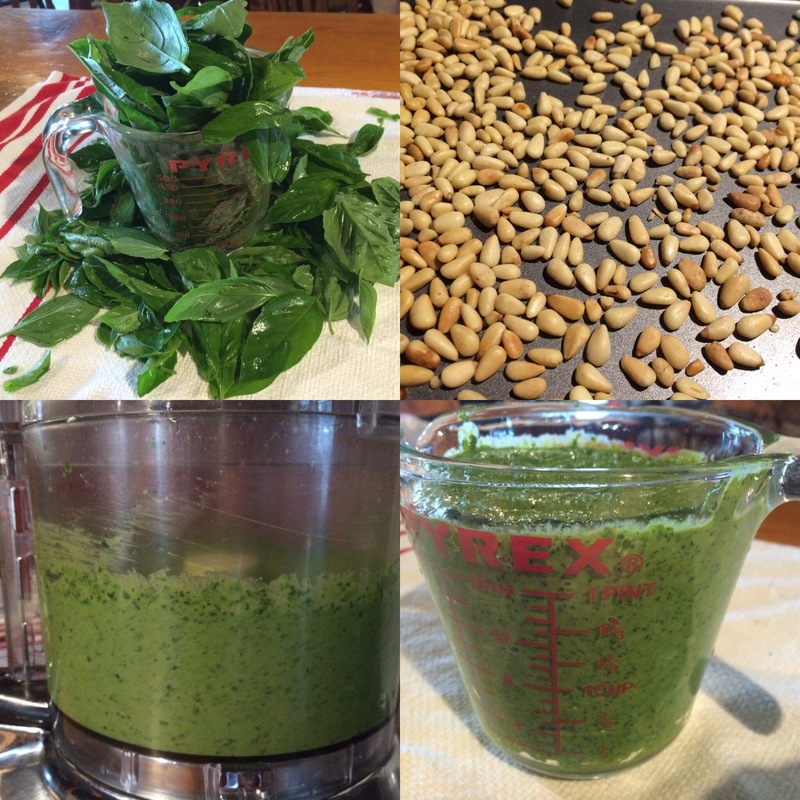 Add toasted pine nuts and Parmesan cheese and process until you have a thick paste. Add the basil all at once. 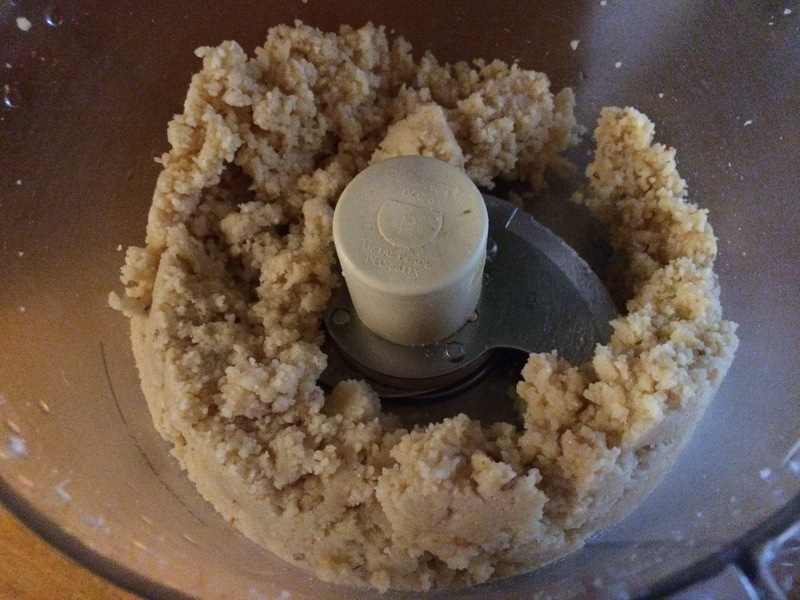 If your food processor is not large enough to do this, add it in 2 batches. 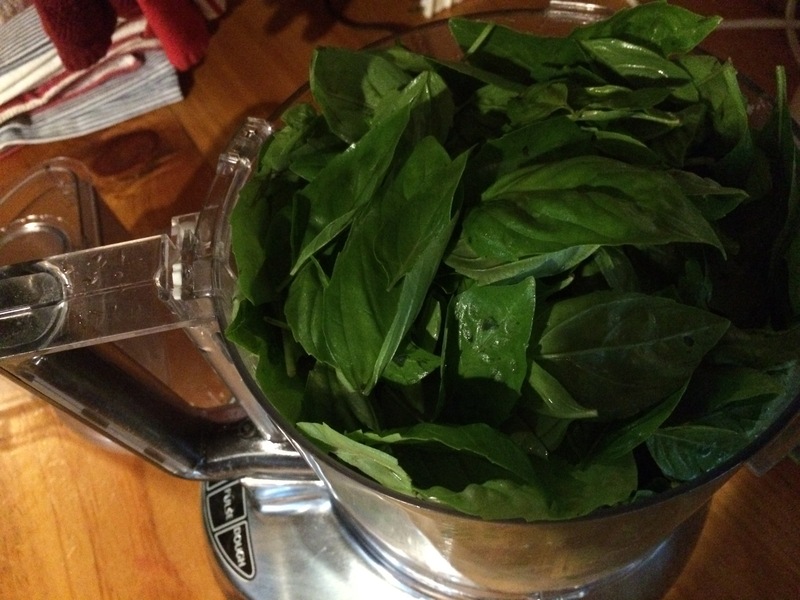 Secure the lid and run the food processor until the basil is about half chopped. At this point start adding the olive oil in a thin stream until all the basil is chopped finely and sauce is emulsified. Use immediately or store in the freezer until needed.